Well, it is always said that God is grateful for your prayers. 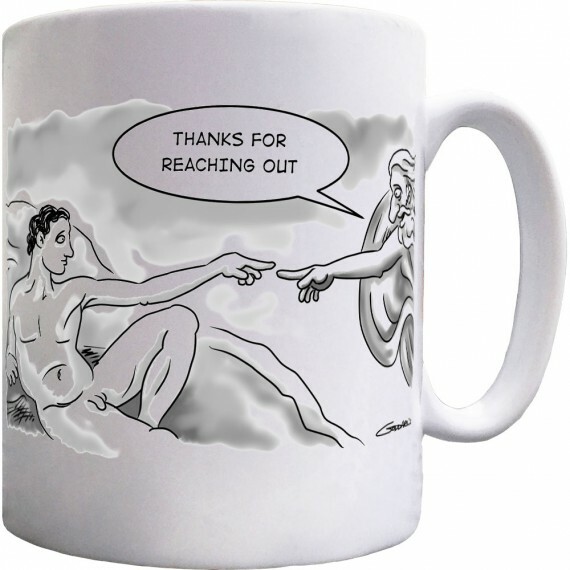 Clive Goddard's take on Michelangelo's "The Creation of Adam". A mug featuring a cartoon by renowned cartoonist Clive Goddard.